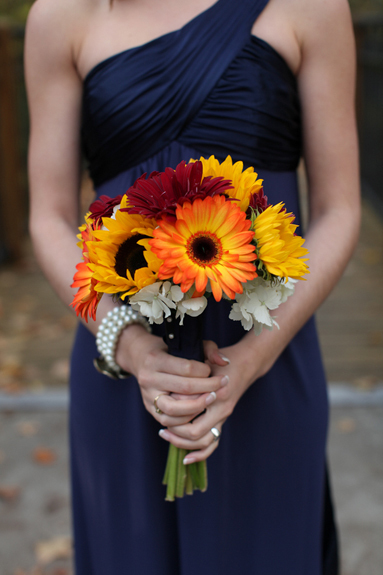 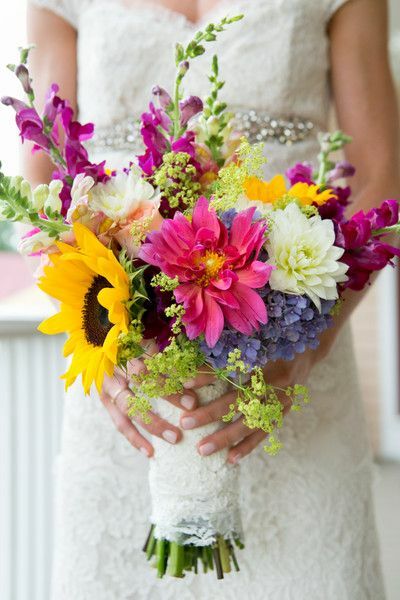 When it comes to the wedding bouquet, many brides can’t make up their mind upon which flower to choose. 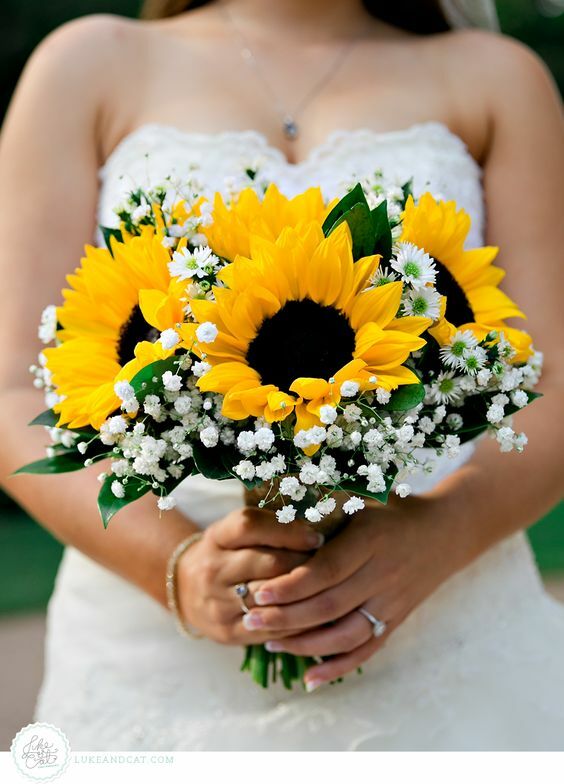 If you are having a country or rustic wedding, sunflower will be perfect since they are bright, happy warm and full of life. 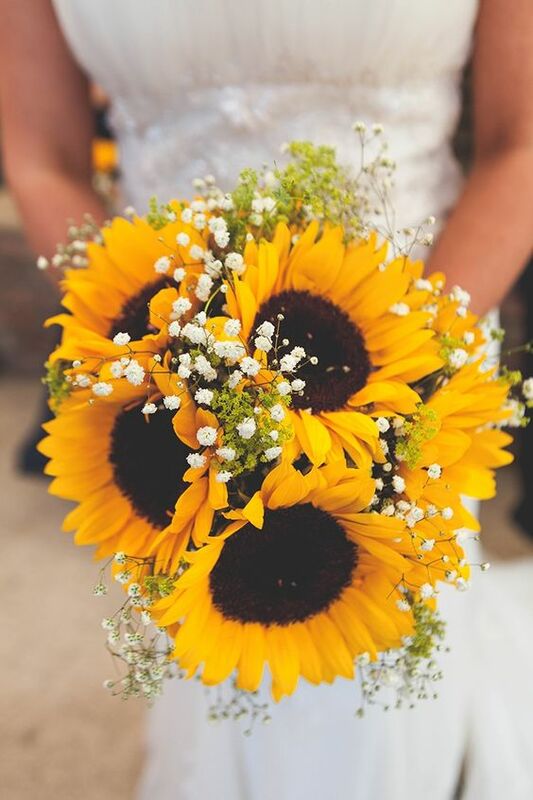 Another reason why sunflowers are so popular for summer or autumn weddings is that they convey a feeling of being simple and warm. 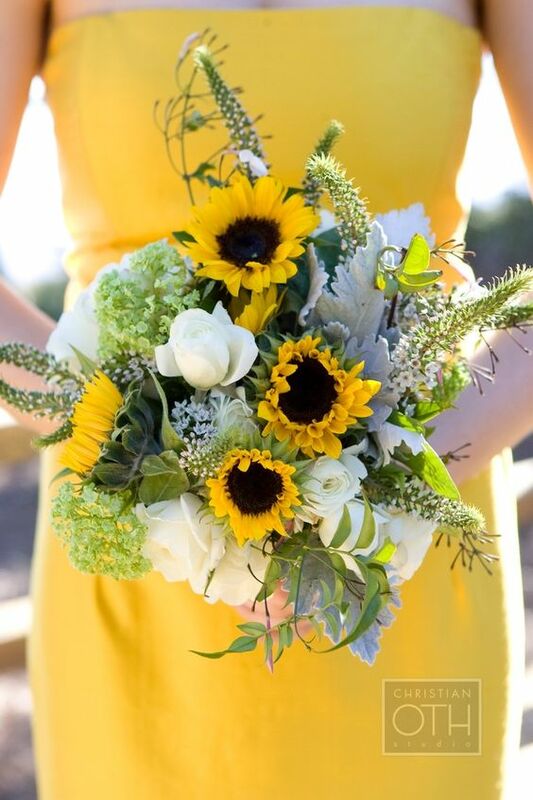 But if you are looking for something a bit more traditional, then you can add some other colors like greenery or navy blue. 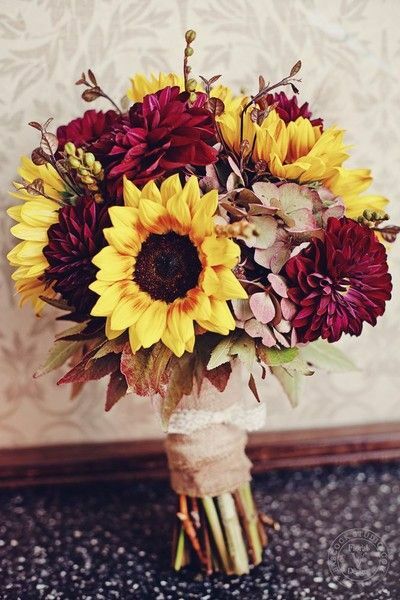 They all look great together. 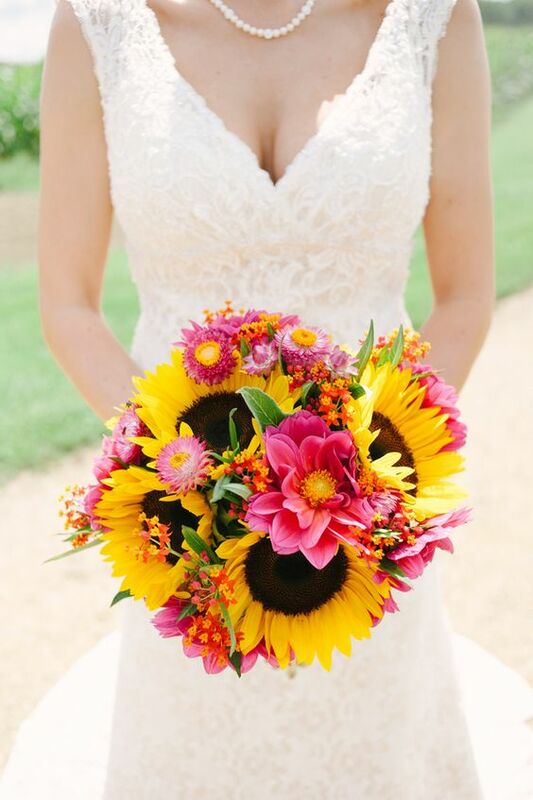 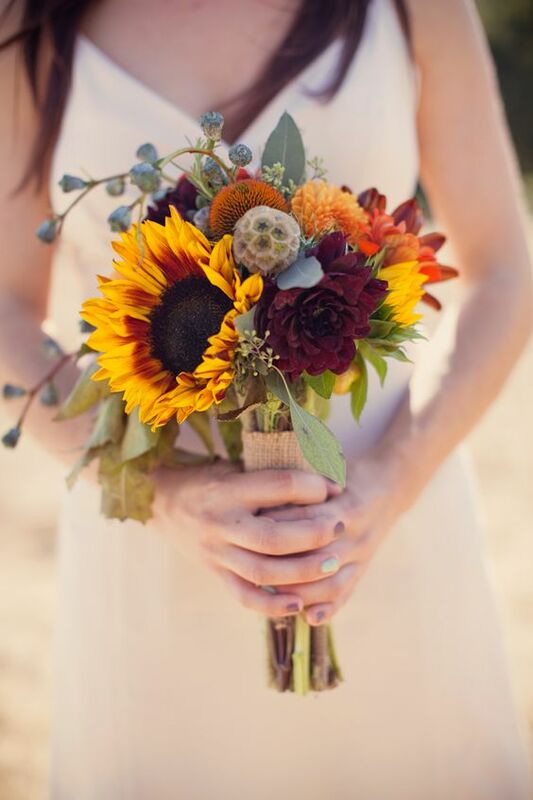 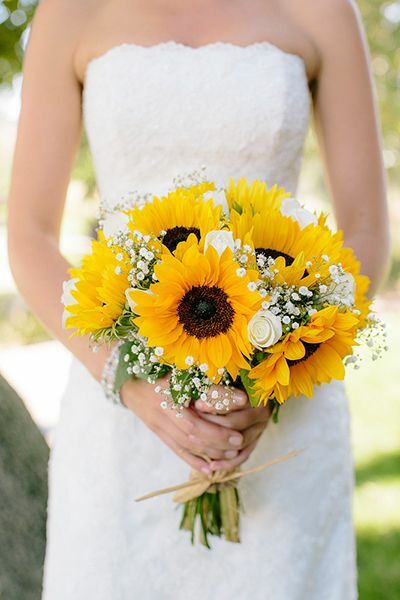 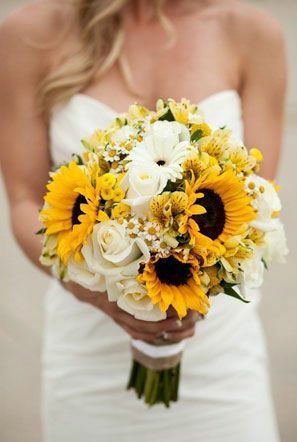 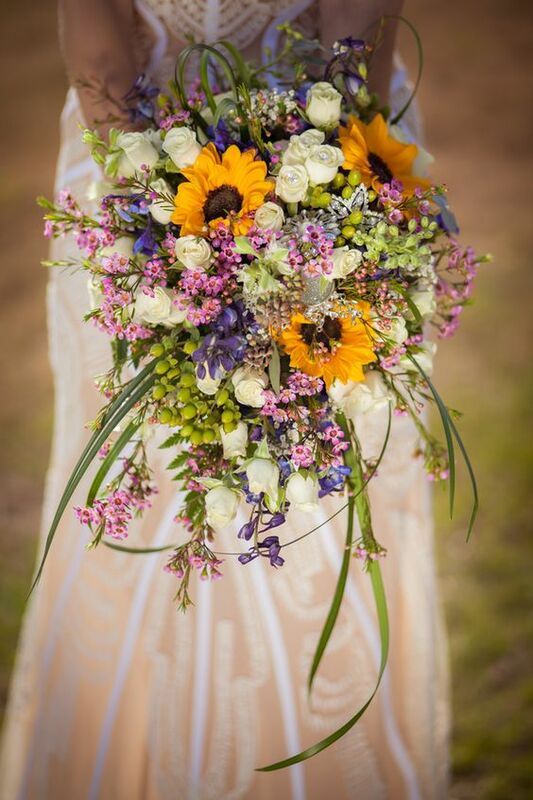 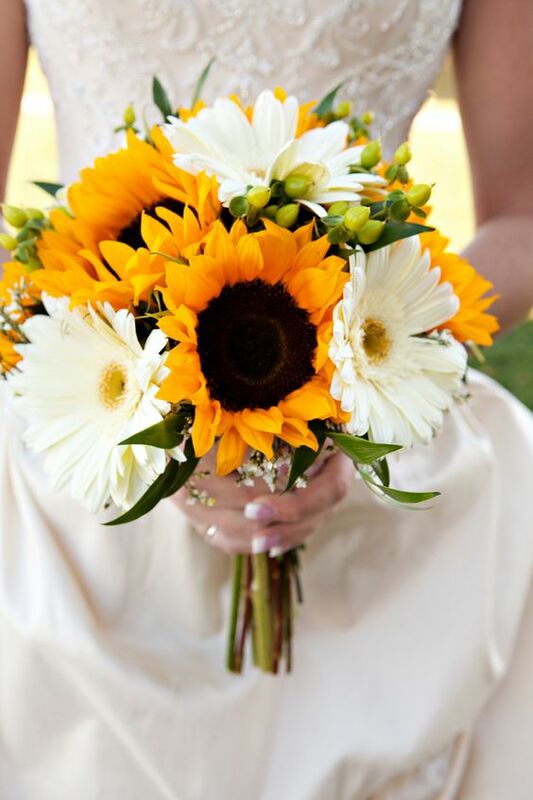 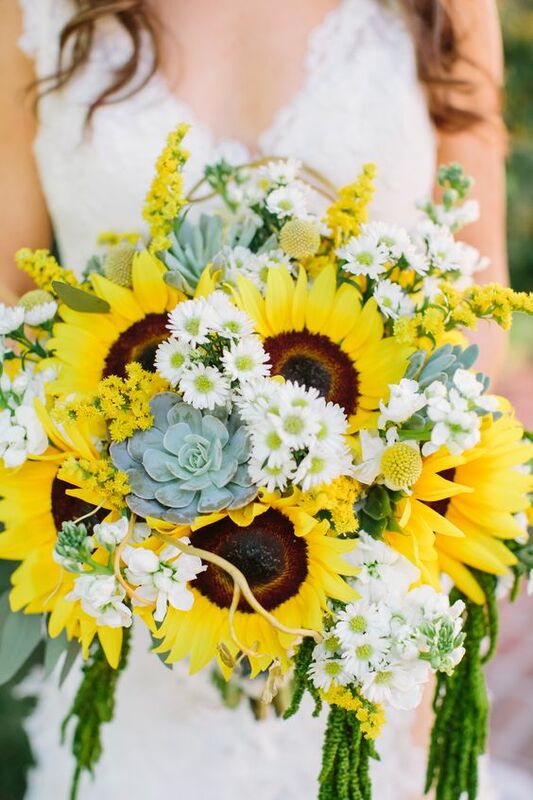 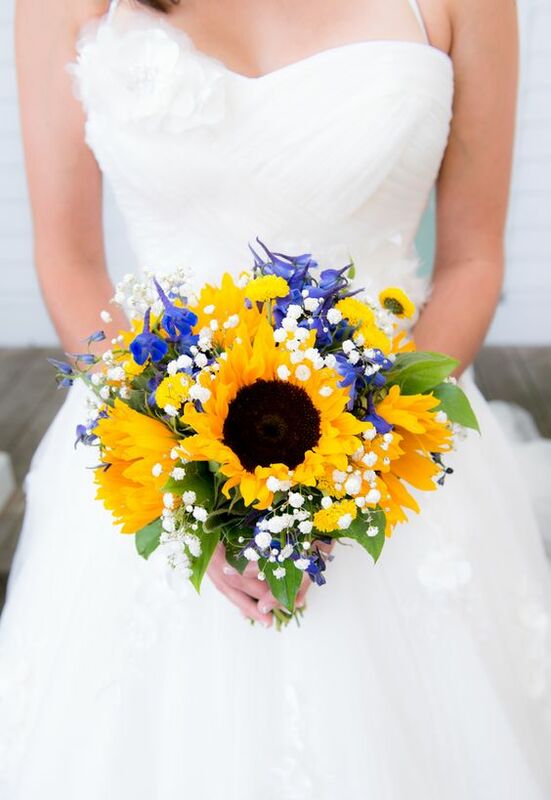 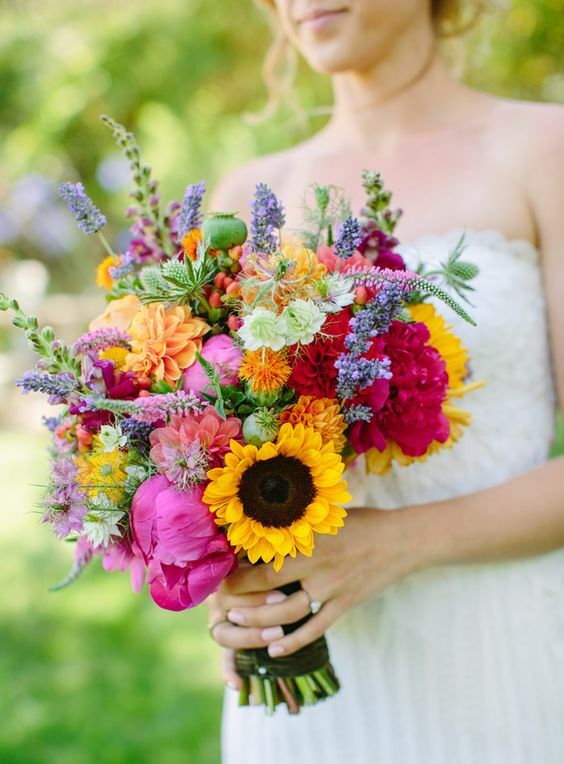 Here are some of our favorite sunflower wedding bouquet ideas for different themes and styles and I’m sure you will find one to love! 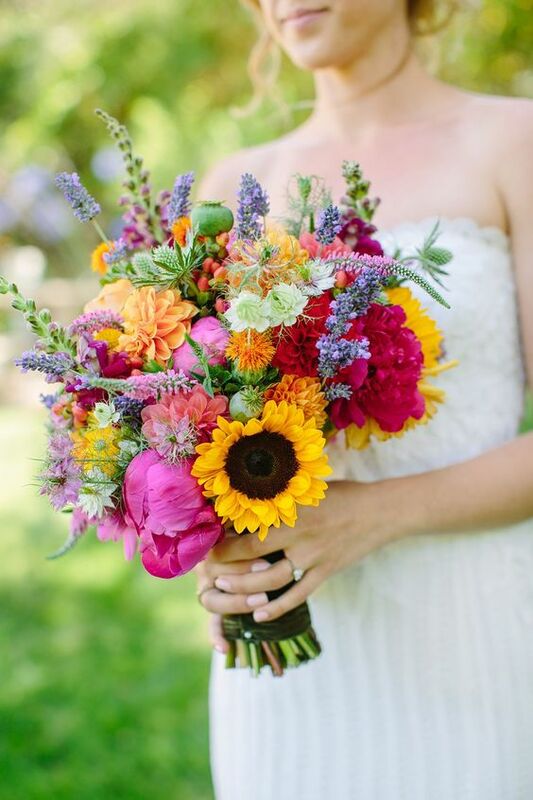 A Colorful Bouquet! Contact Your Flower Team Today To Make This Look! 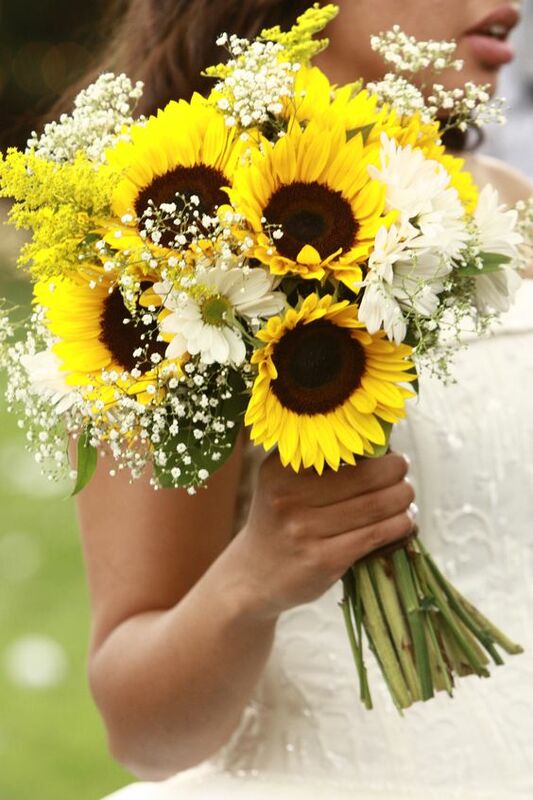 Sunflowers And Baby’S Breath Love This One! 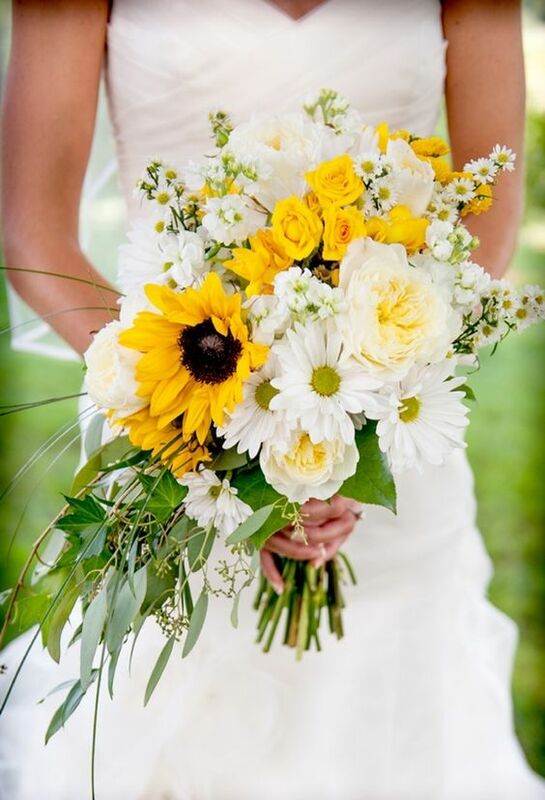 Wildflower Bouquet Of Sunflowers, Dahlias, Roses, And Craspedia Balls.